Whether you plan to give your office studio a really unique asset, use it to decor your childs room or simply have a family DIY project for the living room, we invite you to consider this unique magnificent design idea. Imagine how colorful, transient and ephemeral can become the kitchen-dining room, hall -living room, hall-office transition wall if it would be to be boosted by such a creation. 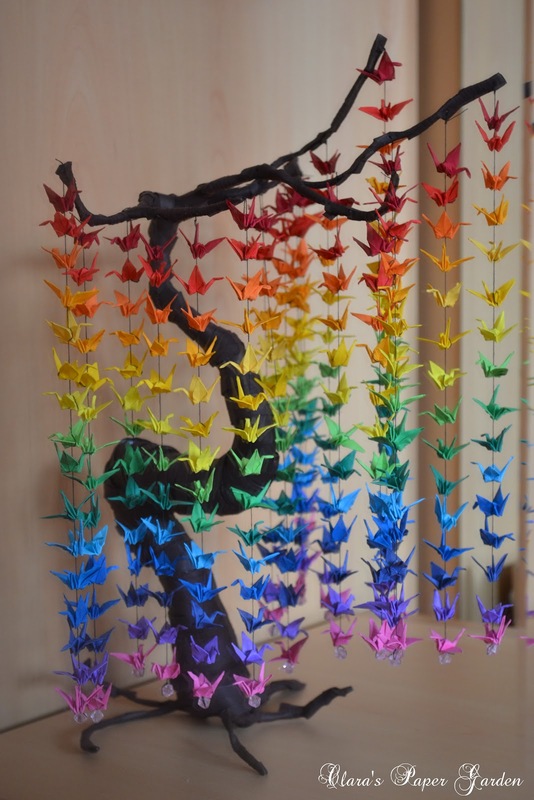 We are going to show you detailed images in some steps that describes the process meant to aid you in creating the multitude of papers/cranes needed for the project. 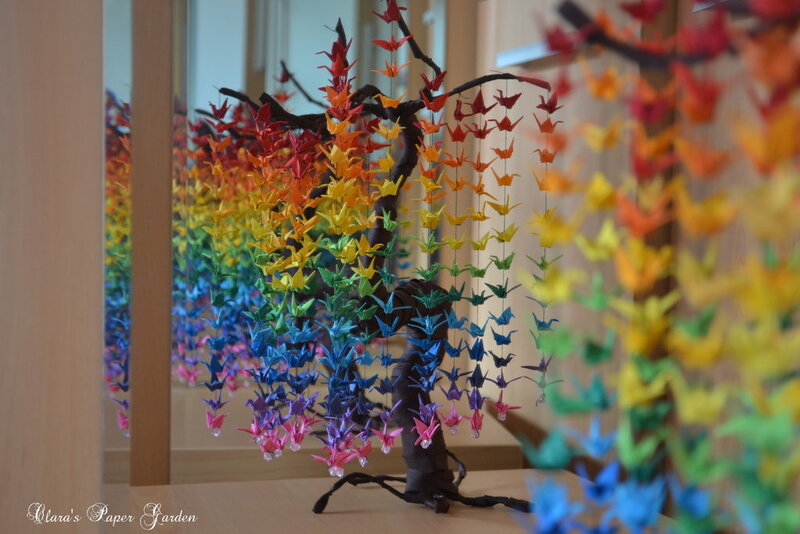 I fall in love with this stunning Butterfly Chandelier Mobile. It is very cute, sweet and would make a nice handmade gift , perfect for any room including your Nursery or little girl’s room. 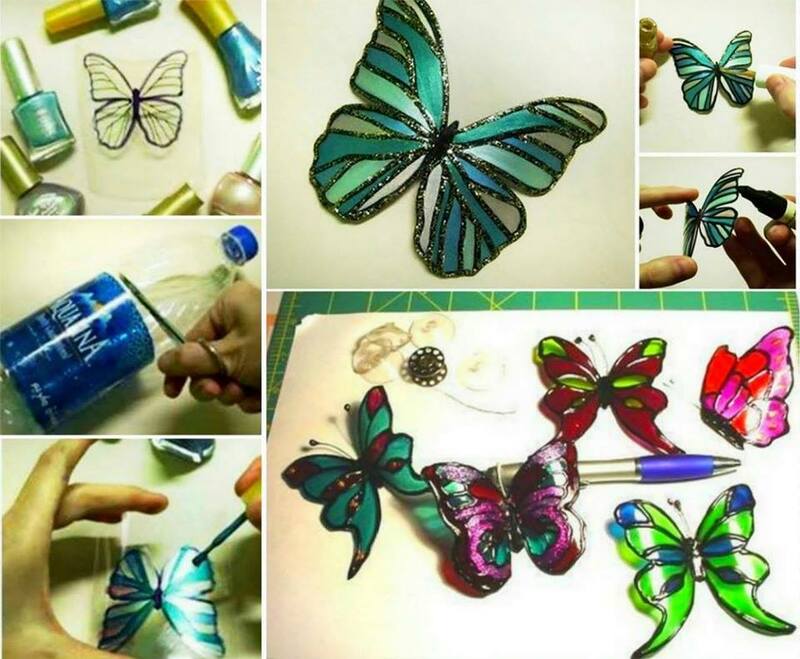 Why spend money on premium wall art when it’s so incredibly easy to make these beautiful butterflies by hand? 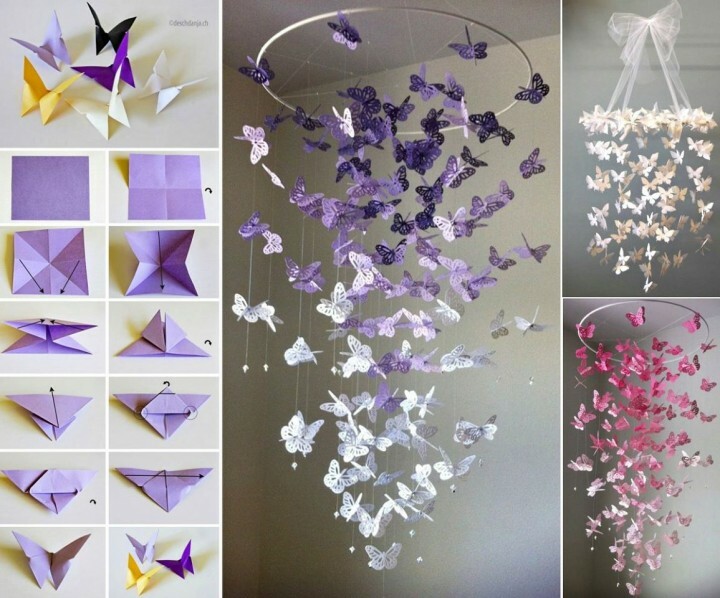 The way we see it, there’s nothing better than the simplest of craft projects that require very few materials and yet allow you to come up with breath-taking results. 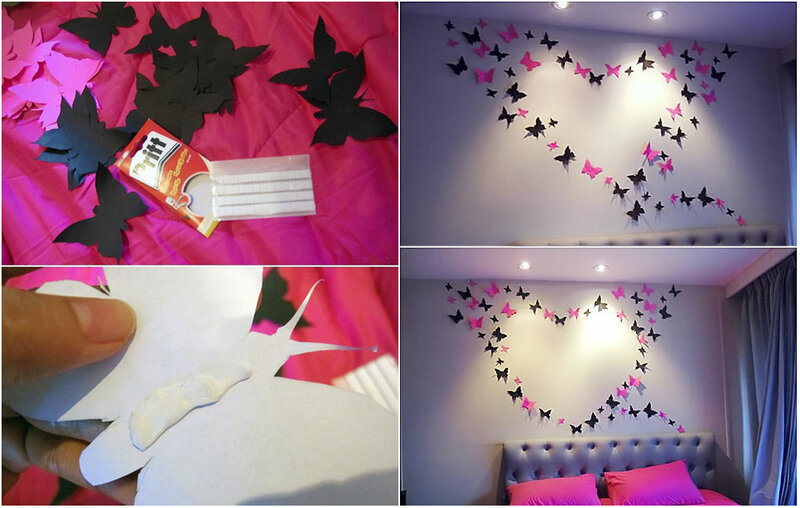 This simple butterfly wall art guide we came across illustrates the point perhaps better than any other – take a look at how stunning these little guys look in formation and you can’t help but be impressed! 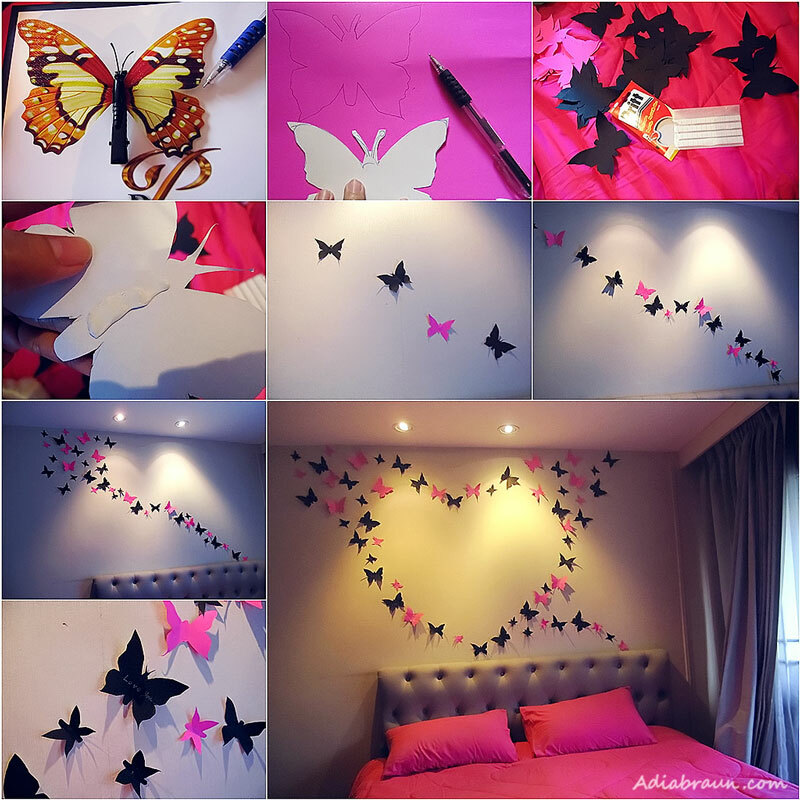 An amazing added touch to any room of the home, though even more magical for that special little girl’s bedroom, you can really let your imagination fly with a collection of these delightful DIY butterflies! Of course, there are really no better craft projects than those you can get the whole family involved with. 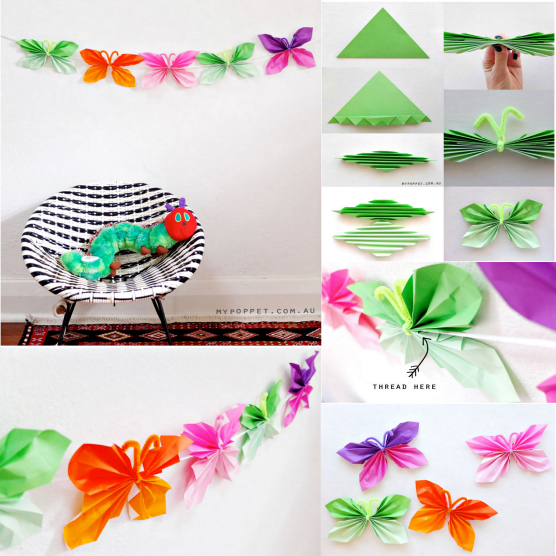 To make these bonny butterflies, all you’ll need is a bunch of paper sheets in the color of your choosing, a pencil to trace the outline of a butterfly and scissors to cut out the shape. It’s then just a case of choosing an appropriate adhesive to stick them to the walls — a little adult supervision and it’s a perfect creative craft project for kids! With just a couple of hours put to one side, you and those helping you out could craft dozens of these cute little critters to create any shape, design or pattern you can think of. Stick with a single color or go crazy with a collage – any way you go, you’ll be blown away by the results! The heart design pictured here is one of our favorites, but at the same time we simply cannot resist stars, flowers or even the name of the lucky lady! Share your thoughts and ideas with the rest of our readers below – we’re always on the lookout for new and inspiring suggestions! 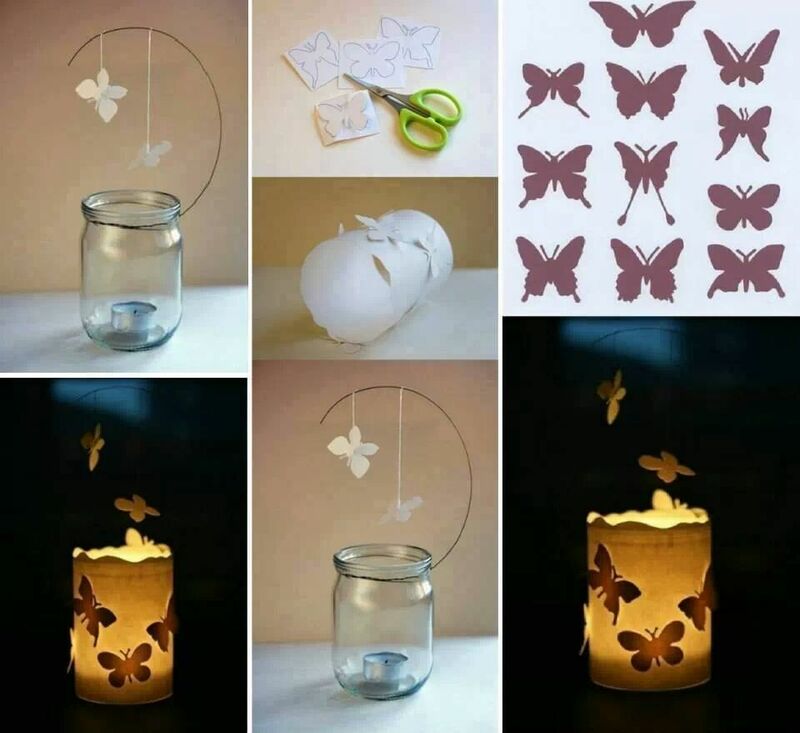 Your kids will love this magical idea –Floating Butterfly Lantern. Lantern is a beautiful way to add atmosphere and depth to a space inside or outside .They contribute to the lighting and colour of an area and can give off a truly magical ambience. This is a super cute idea! 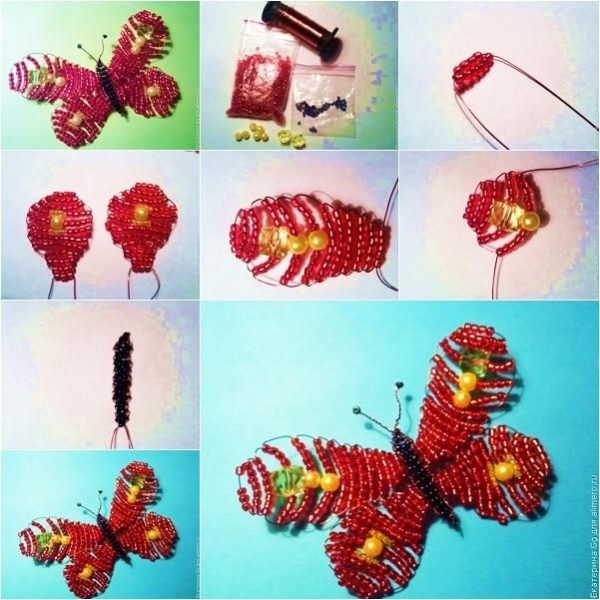 You can make this project with your kids to experiment the fun of light and shadow! 1. 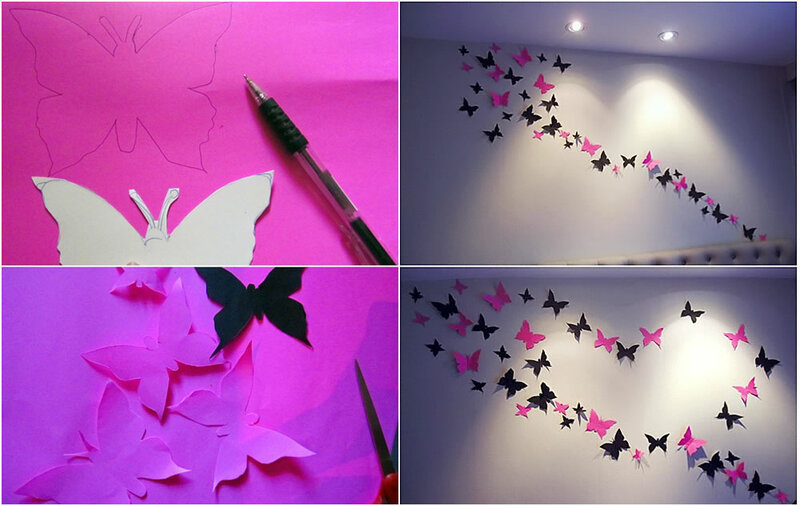 Draw the silhouettes of butterflies over a piece of paper and cut them. 2.Measure the paper around the jar and cut it. Turn it to a cylinder and glue butterflies to it. 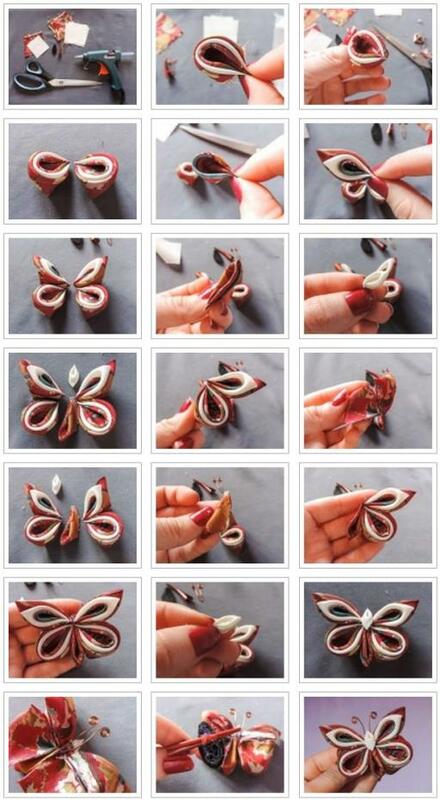 3.make a curved shape from one end of the wire and attach butterflies to it with a thread. Wind it around the mouth of the jar. 4. 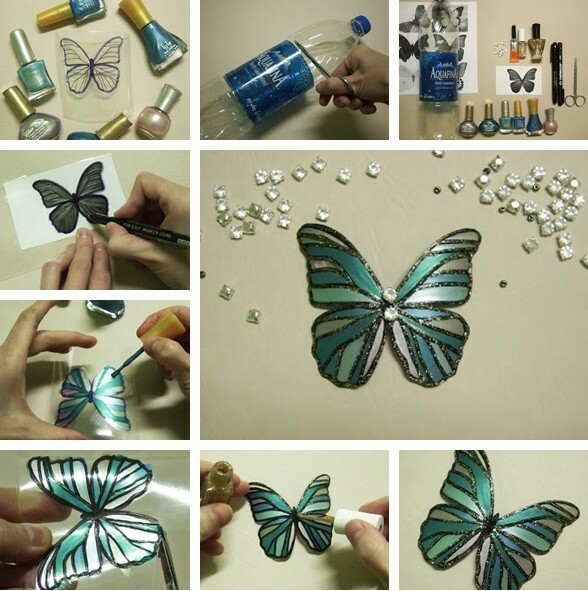 Glue the cylindrical paper with butterflies to the jar. 5. Put in a candle and your lantern is ready. Butterflies dancing now ! Happy crafting! Beautiful Butterflies everywhere! 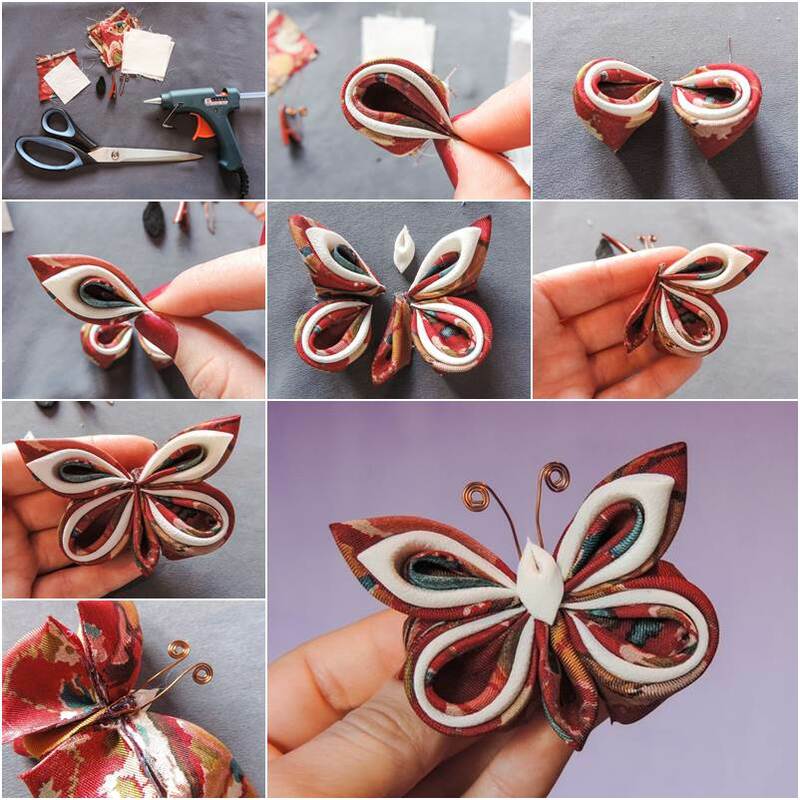 Discover tons of Fun, Creative Ideas for Butterfly Crafts that are perfect for Children to make.This is a super easy project, do it with your kids, your all will be have fun ! 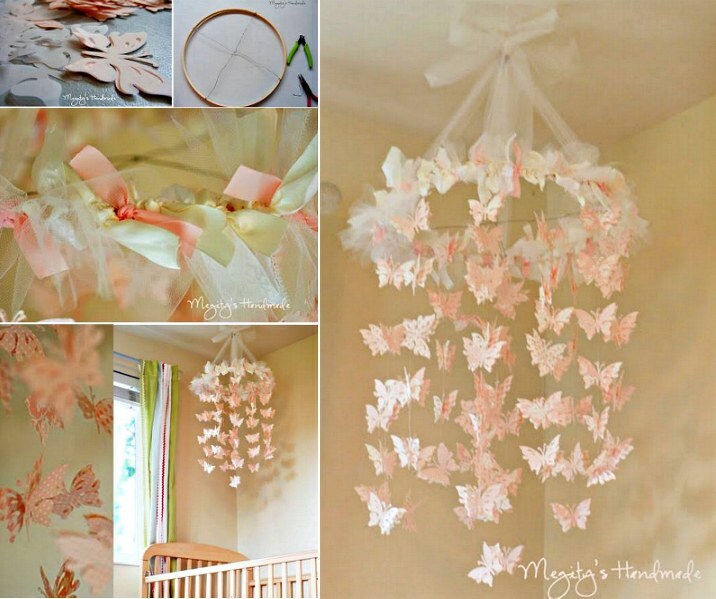 These butterflies are so beautiful that made of silk, satin or organza .They are nice decoration, and it’s a good idea to use those left over fabrics . 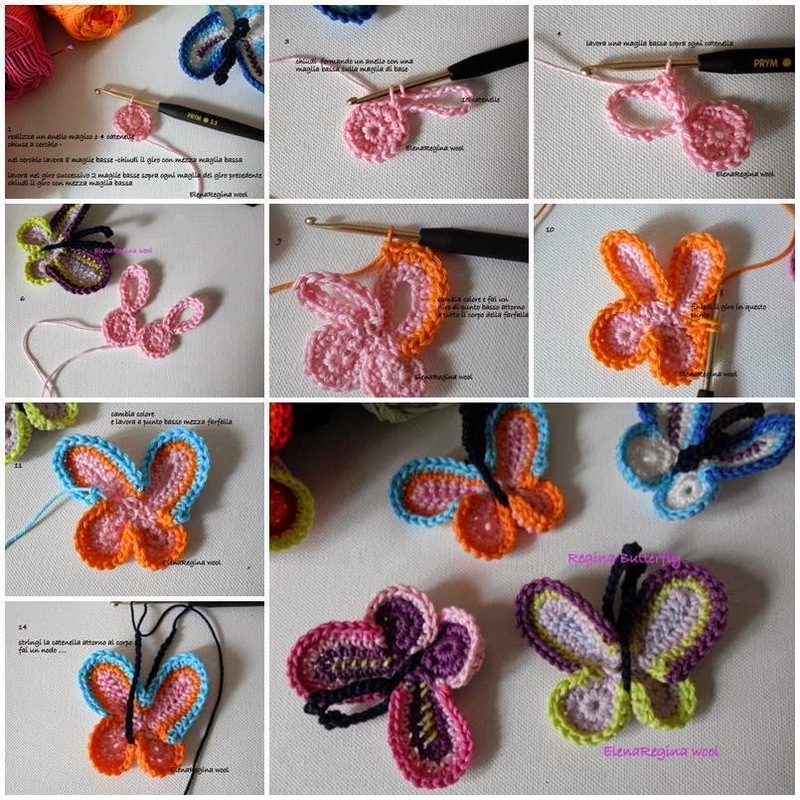 As you know, there are many ways for making butterfly, such as beads butterfly, plastic butterfly,crochet butterfly…Butterflies can be used as a gift tag, brooch, hair clip,decoration for hat or baby booties… I would like to create some for my daughter’s valance, that will be a fantastic addition for her room .